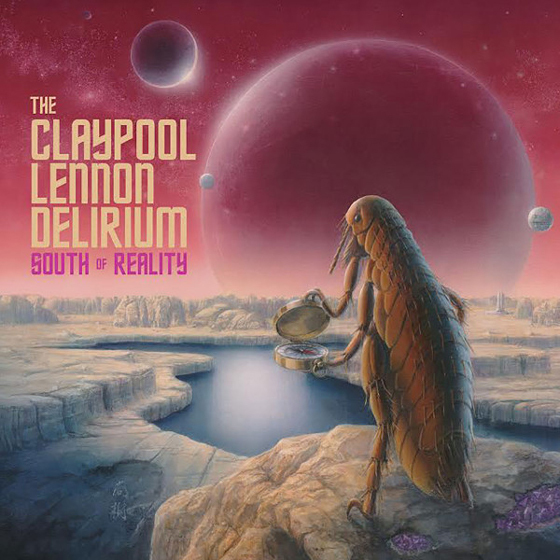 After sharing their Monolith of Phobos LP back in 2016, Sean Lennon and Primus' Les Claypool have announced a follow-up effort as the Claypool Lennon Delirium. Titled South of Reality, the group's latest will arrive February 22 through ATO. The album was produced by Claypool and Lennon themselves, and was engineered and mixed by Claypool at his Rancho Relaxo studio in Sonoma County, CA. Ahead of time, the two have shared new track "Blood and Rockets," which is also billed as "Movement I, Saga of Jack Parsons - Movement II, Too the Moon." You can hear it in the players below.